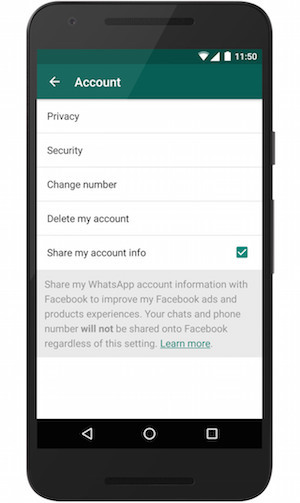 Ever since WhatsApp announced that it would start sharing user data including phone numbers with Facebook, there has been an outrage against the popular messaging app, as CEO Jan Koum had stressed that “nothing would change”, after it was bought over by FB, some 2 years ago. Although, the two companies say the policy will only help users find friends and “improve your Facebook ads and products experiences,” we know exactly what it means. 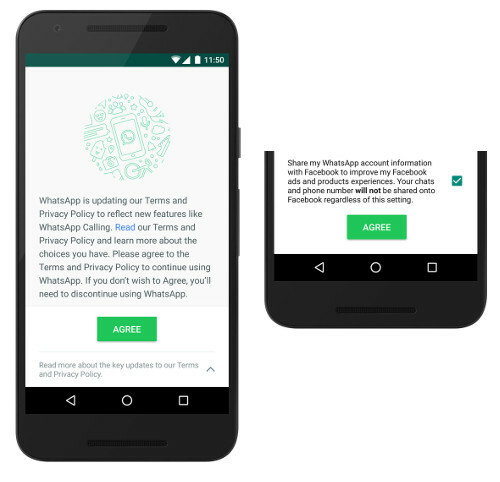 Instead of accepting the new terms and policies and clicking on the ‘agree’ button, press the “read more” option and uncheck the box that reads “Share my WhatsApp account information with Facebook…” In case, you have already accepted the terms, you’ve still got 30 days to opt out. Click on the app’s settings menu, and then press the account option. Here, uncheck the box reading “Share my account info” to stop providing Facebook with your user data.